We have all fallen in love with this CC Cream. 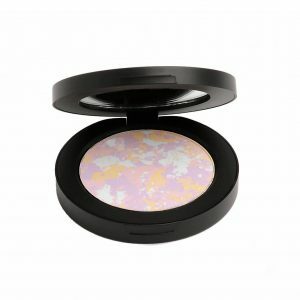 It colour corrects, brightens and illuminates your complexion. A must-have beauty innovation with skin-nourishing and brightening ingredients that smoothes the complexion and adapts to each skin tone for a healthy, natural radiance. Wear it under your favourite foundation, on its own or with either the Concealer or Mineral Illuminating Pen. Your skin will look radiant. Light weight texture, great for all ages. Suitable for All skin types. BB or CC Creams What are they? What will they do for me? What should I choose? This has been the one big question at several talks I have given as well as emails I have received. It seems these 2 products are causing a lot of confusion. I really don’t want people to be confused especially if one of the products helps you look great. So I thought I would try to explain. I hope it helps. Both BB & CC Creams first became popular in the Far East then came to the West. BB Cream stands for blemish balm or beauty balm but that does not mean SPOT cream. In fact it is not meant for spotty complexions. It was developed by a scientist to help even out skin that has just had a procedure such as laser treatment or a chemical peel, so they tend to have a high SPF. BB Creams are multi function creams. They have great coverage (pigment rich), are hydrating, are fairly light weight, have an SPF of 30 or more and have skin care properties. I used a BB Cream on one of my ladies in her fifties, who had a lot of pigmentation but didn’t like the idea of a full coverage foundation. She loved the way her skin looked with the BB Cream. 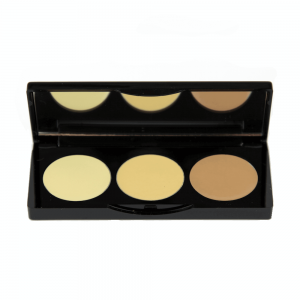 CC Cream stands for complexion or colour correction. 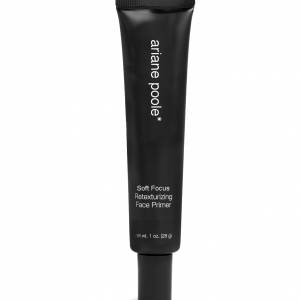 They help even out, correct, brighten and cover a less than perfect skin tone (which is most of us). CC Creams are lighter weight and thinner in texture than BB Creams. CC Creams can come in different shades. What I like about my CC Cream is that the shade adapts to your skin tone. Which means you can pretty well use the same one all year round. CC Creams are a great go to product if you have been or are on long-term medication because they help put back that glow your skin may have lost. Recently I used a CC Cream on one of my Celebrity clients for some filming she was doing. She had good skin and didn’t want a heavy look so we used it instead of foundation. What was interesting is that she had a spray tan a few days before but I used the same shade as I had used on her before the spray tan. She was amazed how well the CC Cream adapted to her new skin tone. Both BB & CC Creams can be used on their own depending on the kind of coverage you want or under foundation as a primer. The choice is yours. The BB Cream is great for covering marks, pigmentation (not for spots). It is heavier than the CC Cream and more covering. The BB Cream is more hydrating than the CC Cream. The CC Cream is lighter in weight. Both cover and even out the skin. The CC Cream adds radiance. The BB Cream has an SPF30 the CC Cream an SPF20. Ingredients: Active Octinoxate 7.5%, Titanium Dioxide 5.0%. Inactive Water (Aqua), Dimethicone, Glycerin, PEG/PPG-18/18 Dimethicone, Butylene Glycol, Trimethylsiloxysilicate, Saccharide Isomerate, Tocopherol, Ascorbyl Palmitate, Rose Extract, Caprylic/Capric Triglyceride, Octyldodecyl Neopentanoate, Ethylhexyl Palmitate, Nylon-12, Boron Nitride, Dextrin Palmitate, Sodium Chloride, Aluminum Hydroxide, Polymethylsilsesquioxane, Glyceryl Polyacrylate, HDI/Trimethylol Hexyllactone Crosspolymer, Dimethylmethoxy Chromanyl Palmitate, Phytosteryl/Isostearyl/Cetyl/Behenyl Dimer Dilinoleate, Benzimidazole Diamond Amidoethyl Urea Carbamoyl Propyl Polymethylsilsesquioxane Lysine, Calcium Silicate, Palmitic Acid, Stearic Acid, Lecithin, Acrylates/Ammonium Methacrylate Copolymer, Triethyl Citrate, Acrylates Crosspolymer, Disteardimonium Hectorite, Xanthan Gum, Alcohol Denat., Methicone, Triethoxycaprylylsilane, Lysine, Potassium Chloride, Magnesium Chloride, Zinc Chloride, Sodium Hyaluronate, Sodium Dehydroacetate, Magnesium Ascorbyl Phosphate, Disodium EDTA, Caprylyl Glycol, Hexylene Glycol, Phenoxyethanol. May Contain ( /-): Mica, Titanium Dioxide (CI 77891), Iron Oxides (CI 77491, CI 77492, CI 77499).